SmartsysSoft Greeting Card Designer helps you easily design cool greeting cards for birthdays, Christmas, New Year, Thanksgiving, Valentine's Day, anniversaries, or any occasion. It provides hundreds of greeting card templates and a lot of pre-designed symbols, clipart and pictures. With Which, to create a greeting card becomes so easy and quick. Powerful vector graphics editor program with which you can get your cards with very high quality when your designs are translated to printing. Supports to print your design on any standard papers at your local printer. Also it's allowed to save your as a high quality image with PDF, BMP, JPEG, GIF, PNG, TIFF format for outside quality printing. is a powerful vector graphics editor program. It provides hundreds of greeting card templates and a lot of pre-designed symbols, clipart and pictures. So that, you can create an attractive greeting card with easy as following: firstly select a template from templates library to start your design; then add or replace with your own photos or clip art; finally do some modification for some texts as you requirements. All supported drawing elements such as texts, clip arts, shapes, symbols, images can be added to your design as you needs. Each one is painted very smoothly. So you can get good-looking greeting cards with very high quality when designs are translated to printing. 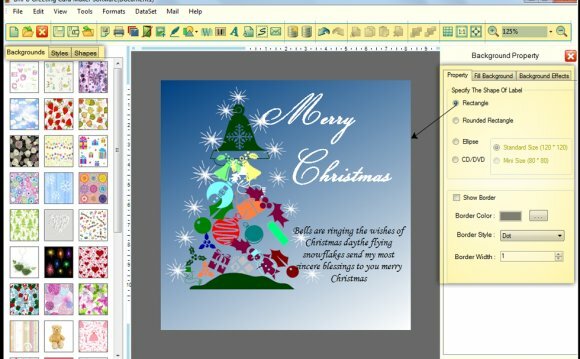 SmartsysSoft Greeting Card Designer supports to print your cards on any Windows compatible printers directly. Also it is allowed to save your design as a high quality image with PDF, BMP, JPEG, GIF, PNG, TIFF format for outside quality printing. The application's interface is attractive and quite intuitive, and most users should be able to start making their greeting cards within short times. With moving mouse button you can create, move, resize or rotate each drawing objects visually and freely. Undo redo anytime anywhere if it’s needed. what is the best currency exchange script online?